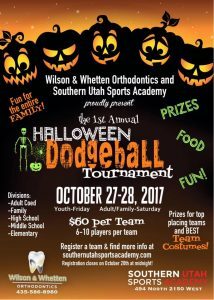 The first annual Halloween Dodgeball Tournament will be October 27-28, 2017 at the Southern Utah Sports Academy (494 North 2150 West, Cedar City). Youth Friday, Adults/Family Saturday. Prizes for top placing teams and best team costumes! Register a team and find more info at southernutahsportsacademy.com. Registration closes on October 20th at midnight. 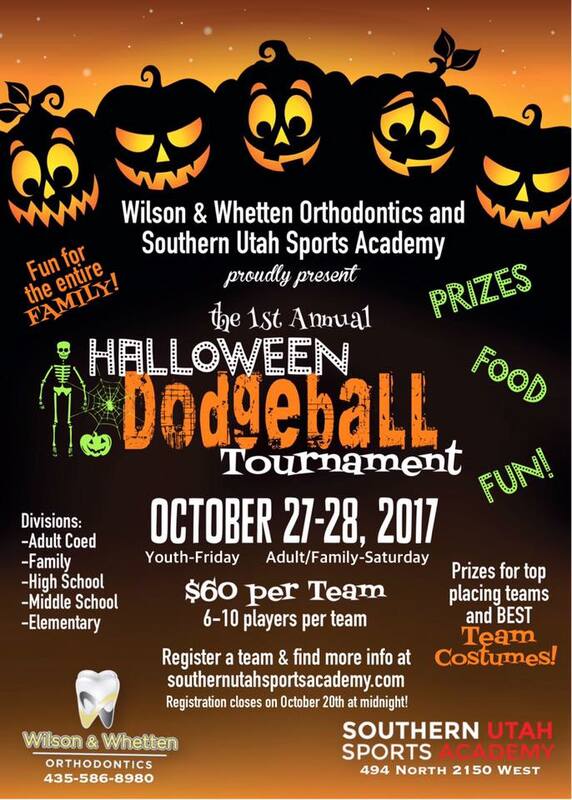 This event is presented by Wilson and Whetten Orthodontics and Southern Utah Sports Academy. This tournament has been added to the calendar.